Schoenstatt daughter shines in the United States of America and throughout the would are replicas of the original shrine dedicated to Mary, Mother Thrice Admirable, Queen and Victress of Schoenstatt, located in Schoenstatt, Germany. The daughter shrines are a place of grace where the Marian movement of holiness provides a way of life to fulfill the Covenant of Love, a partnership with Mary to fulfill the commitment: “Nothing without you, nothing without us”. 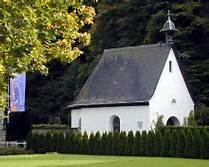 Click here to view the map of all Schoenstatt shrines throughout the world. 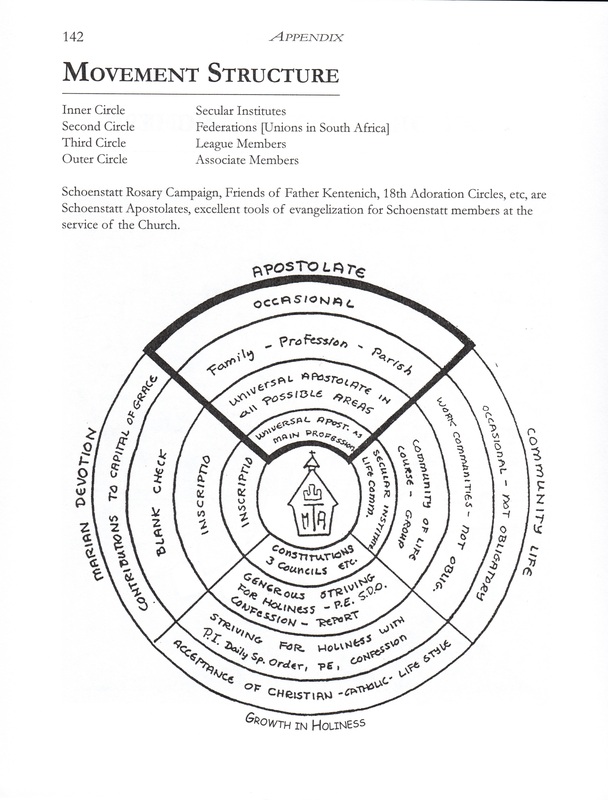 This entry was posted in Schoenstatt Links on March 23, 2014 by cleja. St. Peter’s Cathedral and Mother of Perpetual Help groups are studying My Covenant Way in preparation for Membership Dedication. 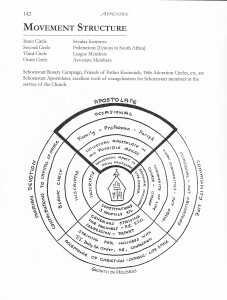 To help understand what Membership Dedication is, a graph of the Schoenstatt Movement Structure (see below) has been used. The graph is from the Covenant of Love series by Sr. Jessica Swedzinski. This entry was posted in Education Meetings on March 13, 2014 by cleja.